Taking care of your skin is very important. Using a product free of harmful additives is also important. 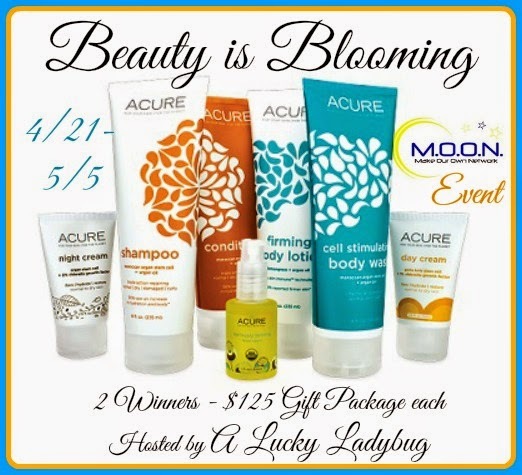 I'm so glad to be able to bring you this giveaway of products that take care of your skin in a healthy way. I would like the Sensitive Facial Cleanser. My skin tends to react to some products, so I'd like to give this a try and see if it works without causing any side effects! I would like to try the moroccan argan oil + argan stem cell shampoo moisture repairing. My hair is really dry and damaged. Thanks! The pages for Secret Code 2 and 3 bring up an error page. I want to try the radical wrinkle complex. I love that you put this on at night and it works for you through out the night. I'd like to try the brightening facial scrub, my skin looks so dull! I'd love to try the dark chocolate and mint lip balm. I would like to try the ultra-hydrating body wash. My doctor tells me my skin is very dry and that I need to use moisturizing products. radical wrinkle complex looks wonderful - as do all their products. Would love to try their oils as well! I want to try the marula oil. I have long hair that tends to be frizzy, and this oil looks like just the thing I need! I would love to try the radical wrinkle complex because age is starting to show on my face and I would love to fight it off as long as I can. I would love to try the Argan rose oil. I would like to try the eye cream because it says it works on wrinkles and eye puffiness. The brightening face scrub seems nice. I would love to try the eye cream, I could use some help in that area. I would like to try the sensitive face cleaner. My face is so sensitive and this cleaner looks perfect for it. I would love to try certified organic coconut argan oil! The older I have gotten, the drier my hair...I think this would be perfect for me. I would love to try the night cream because it would help my skin look young and refreshed.